That second half was boring, but for a good reason. The Timberwolves lead grew to 30 when Kevin Love buried a trey for an 87-57 advantage with 4:51 to play in the third quarter. After that, the game was equal parts sloppy and chippy. At one point Anthony Davis barked at Dante Cunningham and got himself T’d up. At another, Corey Brewer was whistled for a tech while he sat on the bench. The Wolves allowed many quick — immediate, even — Pelicans baskets after their own scores in the fourth quarter. But the work was done in the middle quarters of the game, which Minnesota won by a combined 19 points. Alexey Shved checked in late in the first quarter and played some of his best ball of the year (not a high hurdle to clear, I realize). Shved was active on defense, deflecting passes and even blocking a shot. 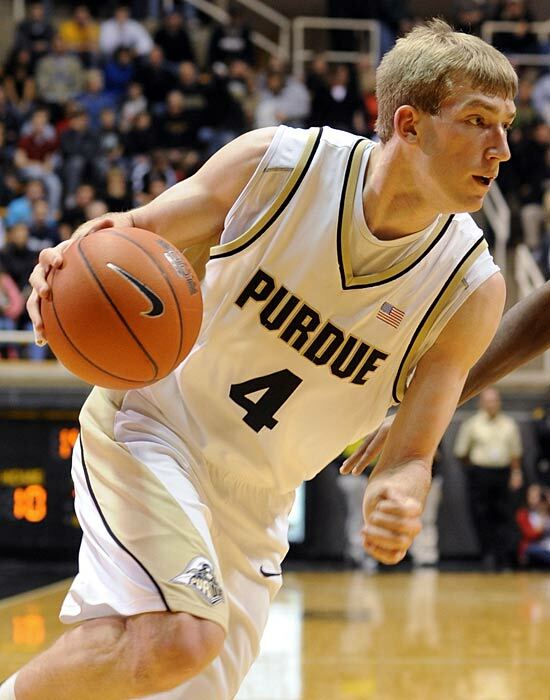 On offense, he made the clever passes we grew accustomed to last year, and also made a pair of corner treys. (See his 2012-13 shot chart for convincing evidence that Alexey should ONLY shoot threes from the corners.) Shved’s final plus-minus of (-8) looks bad because he was on the floor during the aforementioned garbage-time slop. His first stint of the game was key, when the Wolves late-first-quarter deficit of 1 was erased and turned into a 5-point lead by the time Shved checked out. But it wasn’t like Shved was THE reason the Wolves won. No, I just had to lead with him because of subjective/bias reasons and also because he played the most above his average level. But no, Shved was not the player of the game or anything. Ricky Rubio found open driving lines and converted layups. He also made a three. He also nearly got his self a triple double. (14 points, 9 assists, 8 rebounds, 3 steals). Kevin Love had a measly-by-his standards 21 and 6, but played a nice floor game against a terrifying defender in Anthony Davis. Nikola Pekovic had 22 and 7. Kevin Martin scored 20 points. J.J. Barea scored 17. A lot of guys played well and — for much of the game — just about everything was working. Love completed outlet bombs for assists. Brewer’s gambles usually paid off. From a team stats perspective, the Wolves shot 35 free throws and made 28 of them. Drawing fouls against the physical Pelicans backcourt was an early key to the game. Jrue Holiday played less than 23 minutes due to foul trouble. The Pelicans are really bad when he sits out. Later, during second-unit stretches, drawing fouls against former Wolf and hack-happy center, Greg Stiemsma, also helped generate free throw opportunities. But it wasn’t just free throws this time. The Wolves also shot 55.7 percent from the field, which is WAY above their season average of 43.3. Part of that was getting out in transition, but it was also due to the improved shooting from Barea and Shved. The Pelicans were careless with the basketball and committed offensive fouls. It just wasn’t a close game. The Wolves played well against a good team that played poorly. They’re back to .500 with a 16-16 record. Next up is the division-leading, but Russell Westbrook-less Oklahoma City Thunder. That game is at Target Center on Saturday night. A win over Kevin Durant that also serves to push the team back over .500 would be a nice little Saturday, indeed. 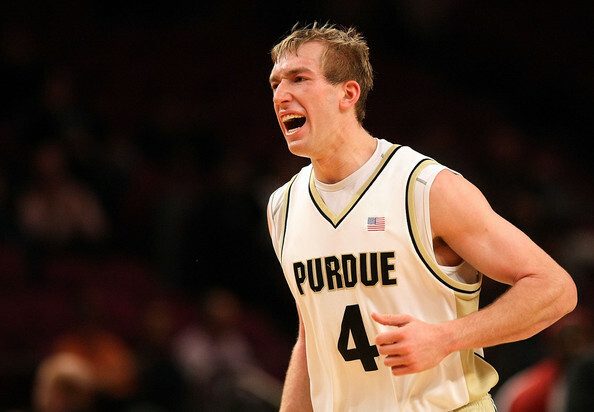 Minnesota sports fans remember Robbie Hummel from his days as a Purdue Boilermaker who frequently dominated the Gophers. Now on the Timberwolves, he appears to have cracked Rick Adelman’s regular playing rotation. In forecasting this Timberwolves season, pundits came to a broad consensus about strengths and weaknesses. With the acquisitions made at Flip Saunders’ direction the Wolves would be a team that plays fast, scores a lot of points, but would struggle to defend their own basket. If you asked me before the season to describe what a “typical loss” would look like for this team, my answer would’ve resembled last night’s game at Denver. The Wolves lost 117-113 to a mediocre Nuggets team that no longer has Andre Iguodala playing or George Karl coaching, and is currently without Danilo Gallinari, who is recovering from knee surgery. But they still have Ty Lawson, who is still incredibly fast with the ball in his hands. They still have Kenneth Faried, whose trampoline-bounce rebounds are much more different in style than substance from our own Kevin Love’s. And they still have Professor Andre Miller, whose skillset seems immune to the normal aging process. Denver scored 35 in the first quarter, 30 in the third and 31 in the fourth. Had we not seen the absolute best version of the ever-unpredictable J.J. Barea, this game would have been a rout. Barea scored 21 points off the bench on 10-14 shooting and dished out 4 assists for good measure. It’s his second good game in a row, and immediately follows my harshest criticisms of him since he’s been here. (I vented with some player-tracking data in Britt Robson’s comments section the other day about how sick I am of watching J.J. dribble the air out of the ball.) While J.J.’s huge game off the bench helped offset some others’ struggles (Ricky Rubio didn’t score) it did nothing to stop Denver from scoring. A very late Wolves rally cut the deficit to 2 points after a Kevin Love three. Wilson Chandler was sent to the line where he made the first and missed the crucial second; a miss that gave the Wolves a chance to tie. Only it didn’t, because Andre Miller [illegally] creeped into the lane from behind Chandler to secure the offensive rebound and the win. A little kick to the ribs when we were already down about losing a winnable game. Denver isn’t very good right now and the Wolves had enough things going on offense last night to leave the Pepsi Center 7-3 instead of 6-4. It’s the type of loss that can’t sit well with Coach Adelman who certainly appreciates how difficult it will be to lock up a Western Conference playoff seat.